Here at Wepa, we are mindful of the impact printing has on the environment, and implementing with PrintReleaf is a continuation of green initiatives already underway. Our entire printing production will now be reforested! What is PrintReleaf? PrintReleaf is a service which helps customers reduce their environmental impact through a software platform, the PrintReleaf Exchange [PRX]. PRX connects enterprise printer environments to a network of Global Reforestation Projects. Through PRX, customers certifiably reforest their paper consumption by planting trees where the planet needs them most. What do I need to do to have my Institution’s paper consumption reforested? Nothing! Wepa is already doing so on your Institution’s behalf, at no additional cost. We care about the environment, too. How many sheets of paper equal a planted tree? 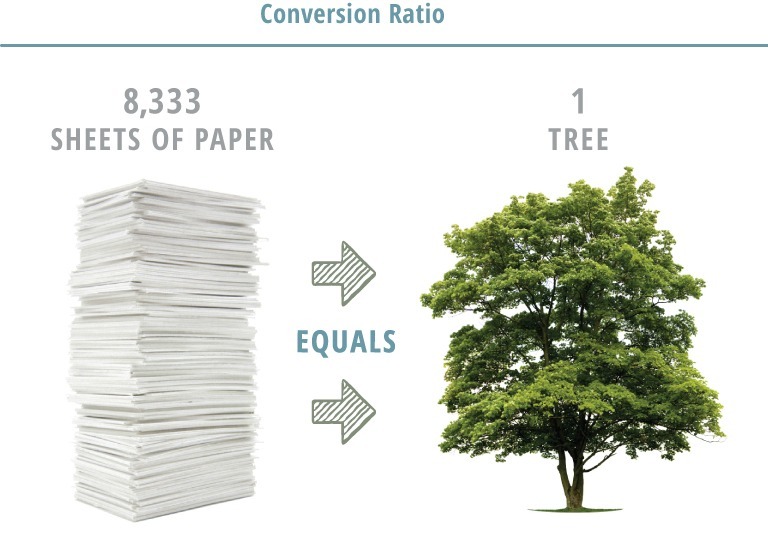 PrintReleaf guarantees every sheet of paper a customer consumes will be reforested at a rate of 8,333 sheets of standard letter (8.5 x 11” x 20lb paper) per tree (40 ft height x 7 in width). Paper is automatically measured and trees are automatically releafed across PrintReleaf Certified Global Reforestation Projects on a monthly basis to continually offset a customer’s environmental impact. How does the portal work? Customers can manage their consumption and reforestation projects through their own online PrintReleaf portal. Paper consumption data is automatically updated within the por­tal where customers can view their forest impact, select their global reforestation projects where they would like to releaf, and link their PrintReleaf account to social media channels, including Twitter and Facebook, as a means to promote their participation in sustainable business practices. Settings are interchangeable on a continual basis. From your Dashboard, select your desired options under ‘My Projects’. Please contact your wepa project manager to send you an invitation to join the project. Can I view and share certificates to social media? Yes! We encourage using certificates as a means to promote your participation in sustainable business practices. From within your Dashboard, select ‘Certificates’.